Objective: The main objective of this study is to determine the efficacy of a shampoo/conditioner system to increase the rate of growth by non-invasive method, in this case by hair coloring and measurements of the roots every 42 days (6 weeks). The study involved 20 healthy female volunteers and was conducted over 3 periods of 42 days for a total of 18 weeks. The first period was the reference during which the volunteers followed their regular hair cleansing routine. During the other two periods, the volunteers had to apply the test treatment once per day. Rates of hair growth determined at different time points were compared to each other. The volunteers also evaluated the effects of the treatment on the rate of hair growth by completing a self assessment questionnaire. The secondary objective of the study was to evaluate the customer acceptance and tolerance of the test products according to normal conditions of use. Type of Study: The study was conducted using a mono-centric and open-ended design, meaning the evaluator, the volunteers and the sponsor alike, were aware of the nature of the test material. 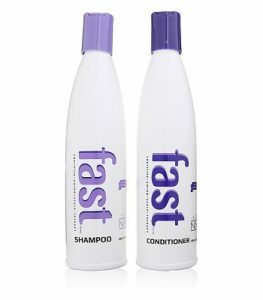 The treatment was composed of two products labeled as FAST shampoo and FAST conditioner by the sponsor. Duration: The study took place between August 2, 2010 and December 6, 2010. Protocol: The test subjects were taken to Vogue, Salon in Montreal, Quebec. The subjects had their hair colored with the color of their choice. The subjects were instructed to continue to use the brand of shampoo and conditioner that they had been using prior to the study. They were instructed to not use any products which claimed to provide any hair growth benefits. Pictures were taken for hair quality comparison purposes. On Day 42 subjects returned to the hair salon and a photograph was taken under the same conditions as the first photo. The hair growth was then measured in 4 regions of the scalp (Vertex, Frontal, Parietal and Occipital) The measurement was made by the technician after a pierce cap was placed on the subjects head and the hair in the exposed area approximately 6 cm squared was measured, two times to insure accuracy. The subject then had their hair colored again and were instructed to use the FAST shampoo and Conditioner daily as instructed on the bottles. On Day 84 the subjects returned and went through the same procedure as on day 42. On Day 126 the subjects returned for a final measurement and quality inspection. Treatment acceptance: Twenty volunteers were recruited for the study. One volunteer did not complete the study. The remaining 19 volunteers completed the study without incidence. On Day 84 6 subjects were thought not to be using enough product relative to the other test subjects. They were instructed to increase the amount of product used each day. This suggestion was followed by most of them. The average amount of shampoo and conditioner use each day was between 12-13 grams each day. One adverse event was observed one of the test subjects had an adverse reaction to the hair color treatment with an allergic reaction being observed due to ammonia, no ammonia dye was used on the next hair color treatment. 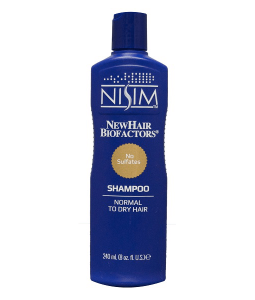 During a 3 day period a mild shampoo and conditioner was used as to allow the subjects scalp to normalize. Sensory Attributes: Participants were asked to indicate if they appreciated or highly appreciated a specific sensory attribute. Perception of Treatment Efficacy: Participants were asked to rate if they saw „NONE“, „SLIGHT“, „MODERATE TO HIGH“ relative to certain attributes. Hair Growth Rate: Average Results On average the 19 volunteers had a growth rate of 1.7 cm in the initial 42 day period. After the first test period the average growth rate increased to 2.0 cm. This is an average increase of 17% considered to be statistically significant. After the second test period the average growth rate increased to 2.2 cm or a 30% increase. The highest growth rate observed over the test period was 99% the lowest was 5%. 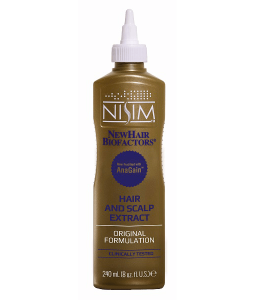 In all cases the rate of hair growth increased between sessions 1 and 2 this indicates clearly that the longer the product is used the better the results.